Do you know what Single Malt Scotch Whisky means? Because I did not (until I wrote this post) and that's why I Googled it. From the many search results, Wikipedia and Serious eat's descriptions actually contradict with each other. My guts choose to trust the guy from Serious Eats (who writes for the drinks column, hence is credible and is an accountable source). 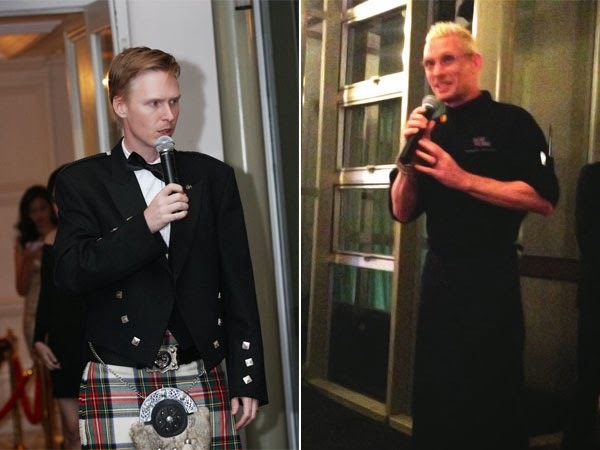 He clearly stated that the word 'single' in Single Malt Scotch Whisky is often misunderstood as single type of malted grain or single batch or a single barrel. All wrong. 'Single' here actually means that the Scotch whisky comes from a single distillery (what the heck is a distillery? Think of it like a factory, only the products are whisky). As for the 'Malt' in Single Malt Scotch Whisky, means that it uses only malted barley as the only grain (“malt”), and distilled in copper pot stills. Lastly, to be entitled with 'Scotch', the whisky has to be made 100% in Scotland, so Tennessee and Irish whiskies are obviously out of the question. Glenfiddich Single Malt Scotch Whisky is one of the several brands under the William Grant & Sons Ltd., an independent family-owned distillery founded by William Grant in 1886. The business has been passed over 5 generations and still going strong, creating some of the world's leading brands and award winning scotch whisky. Now, with a better understanding about Single Malt Scotch Whisky, I could better understand and appreciate the privilege I had when I was invited to Glenfiddich 125th Anniversary Dinner. 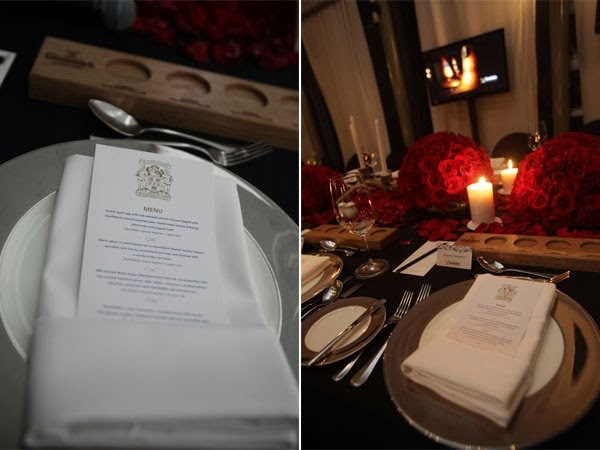 It was a private and intimate dinner event held at the Penthouse Plaza Suite of Grand Hyatt Jakarta sometime ago. 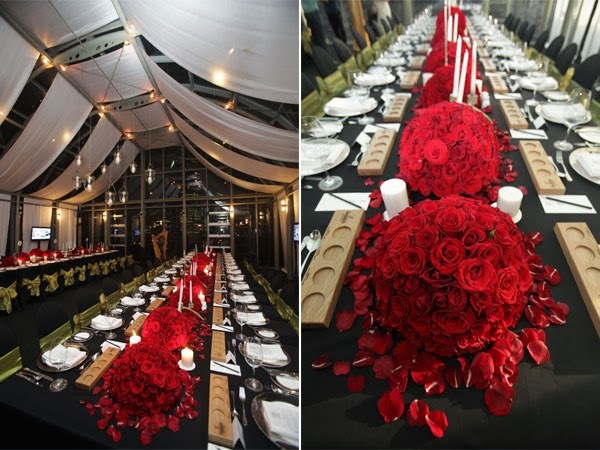 The dinner featured a carefully crafted and elaborate menu by Celebrity Chef Emmanuel Stroobant (who has his own show on Asian Food Channel), each paired with Glenfiddich Single Malt Scotch Whisky of various Collections. The dinner was graced by the presence of Matthew Fergusson-Stewart, Brand Ambassador of William Grant & Sons’ in Southeast Asia, distinguished VIP guests and partners. I was mostly curious about Chef Stroobant's creations and how they would pair with Glenfiddich whiskies. Scotch quail egg with oak-smoked salmon mousse topped with Glenfiddich infused pear, home made tartare dressing, wild herbs and popped malt. Warm spices crusted lobster tail in Glenfiddich flamed lobster bisque, sprinkled with honey-caramelized almonds & finished with vanilla butter emulsion. Glenfiddich Solera Reserve 15 years old. Exquisite flavour of the lobster bisque with freshly sweet and juicy lobster meat. 48 hours braised Black Angus Aberdeen beef short rib, accompanied with hay-crusted beetroot puree, date, apple, cinnamon, smoked potato bouchon, perfected with Glenfiddich gel & beef jus. Glenfiddich Ancient Reserve 18 years old. 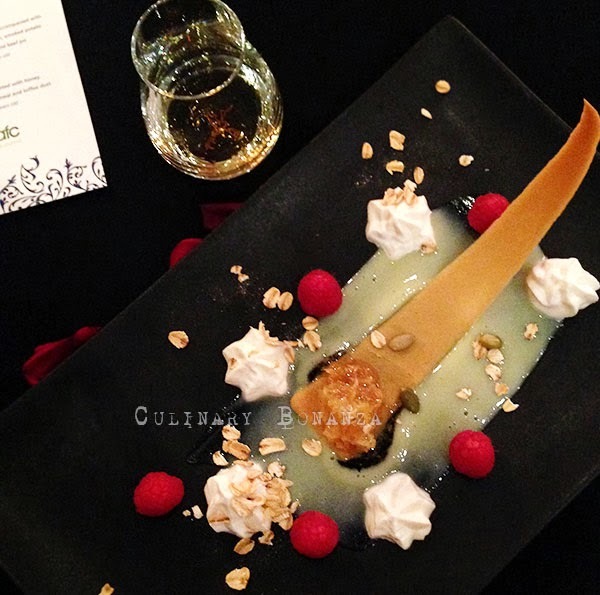 Glenfiddich cream cranachan, complemented with honey, lime-ginger custard, raspberry, toasted oatmeal and toffee dust. Glenfiddich Gran Reserva 21 years old. An interesting dessert with unusual combination of elements (honey, ginger, feuilletine, etc) but it didn't quite satiate my acute sweet-toothiness, because they were so delicate and light. The most awaited moment, degustation of the coveted Glenfiddich Anniversary Vintage. At 25 years old and with 55.2% ABV, it was the strongest single malt I've had in my life. I took a quick sip and the liquid evaporated at the rim of my lips. I took another bigger sip to understand Matthew's description that this vintage tastes of rich fruit cake, toasted almonds and cinnamon. Feels velvety on the tongue, rich and spicy, sweet yet dry, with a luxurious mouth coating oiliness, and oaky finish. They say real men drink whisky, so thank God I don't have to like whisky to prove my masculinity. 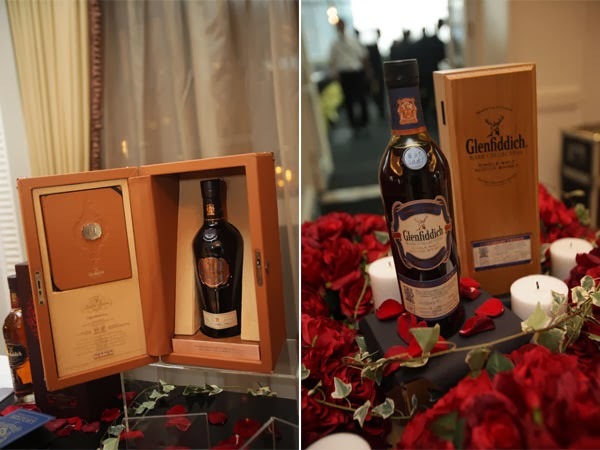 The event was not just about an evening of conviviality and splendid food and whisky, there was a silent auction bid for the 5 specially numbered bottles of the Glenfiddich Anniversary Vintage. The Anniversary Vintage is a collector's item, with a unique history in its crafting. Distilled on Christmas Day 1987 (during centenary celebration of the single malt), aged for 25 years and taken from just a single cask selected by Glenfiddich Malt Master, Brian Kinsman and William Grant's descendants, there are only 286 bottles of the Glenfiddich Anniversary Vintage around the world, each individually numbered. The silent auction bid has been ongoing and the evening was the closing of the bid in Indonesia. The proceeds margins from the bid were donated via Oxfam to help the Haiyan Typhoon victims. The highest bid closed at USD 1,975. From the latest update I received from the PR agency, more than USD 10k has been raised through the auction in the 4 cities: KL, Jakarta, Bangkok and Manila. Such a good cause to mark a momentous vintage, I'd like to offer a toast to Glenfiddich. Here's to another 125 years of fine whisky crafstmanship! Disclaimer: Photos without watermark are provided by the event's PR Agency.